If you’re looking to get to grips with creating websites, one of the first skills you’ll need is to be able to create a concept website design in Photoshop. 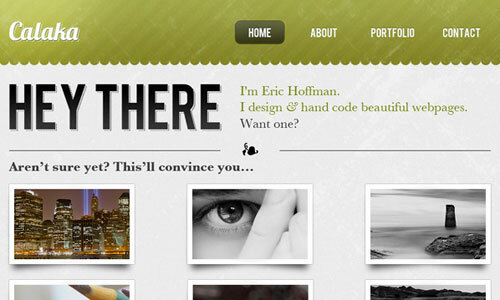 This post rounds up 35 of the best Photoshop web design tutorials on the web. Learn how simple effects and techniques are used to create detailed layouts in a range of different styles and how page elements are mocked up into complete page designs. 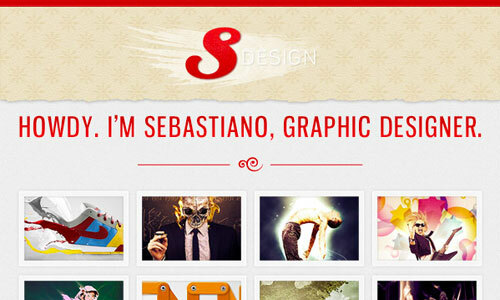 You can now design a stylish timeline portfolio page using Photoshop thanks to this tutorial. This example has a clean three-column page and will show you how to create custom grids, choose the right typography and how to play with colors a bit. 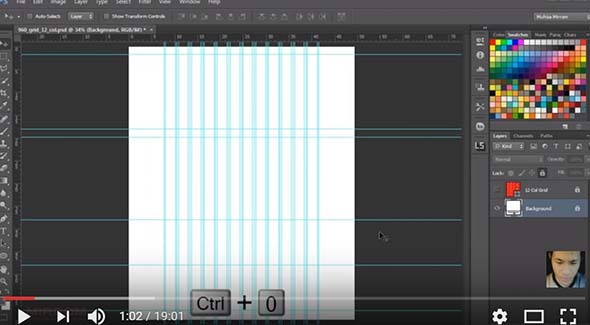 This tutorial is made by Eric Hoffman who will teach you how to create elegant patterns in Photoshop. This is only one of his tutorials, if you’re interested then have a look! 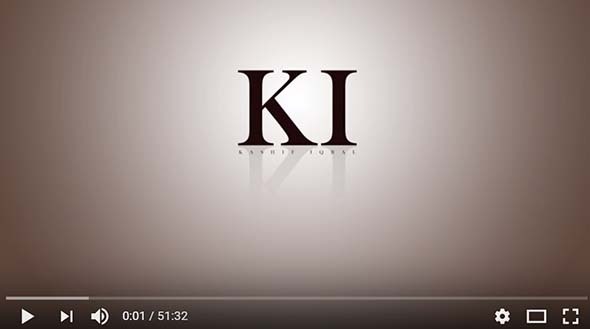 If you want your project to have an elegant touch this tutorial will definitely do the trick. You’ll have to find an image that sends a strong message and a motto. This easy tutorial comes in really handy if you’re ever in need of a catchy grunge-themed web layout and you don’t even have to be experienced in Photoshop. 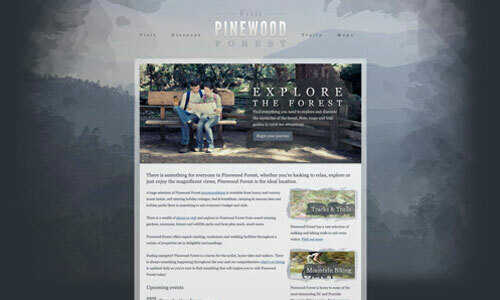 This tutorial will teach you how to design a textured outdoor website using only Photoshop. This is an easy step by step tutorial. Have you thought about designing an Instagram-based portfolio tutorial for yourself or your clients? In this tutorial, you’ll learn to use a clean color palette and some smooth typefaces. 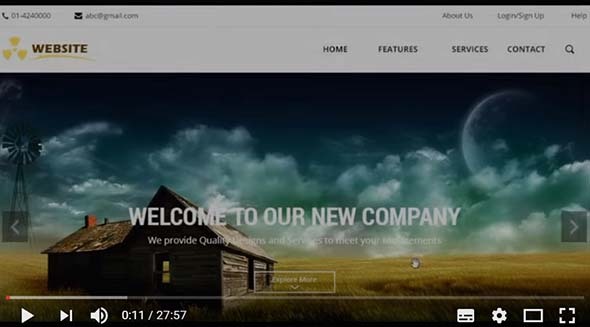 If you’re trying to design a web page that focuses on promoting a business you might want to have a look at this tutorial and find out some new tricks throughout the process. 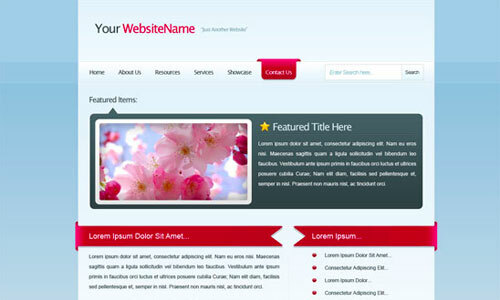 This video tutorial will teach you how to make a website template from scratch using Photoshop. You will be guided through each step of the process. If you were having trouble with designing your website’s header, then this tutorial might come to your rescue. This detailed tutorial covers nearly everything you need to know starting with wire framing to converting your PSD into a working and responsive HTML page. 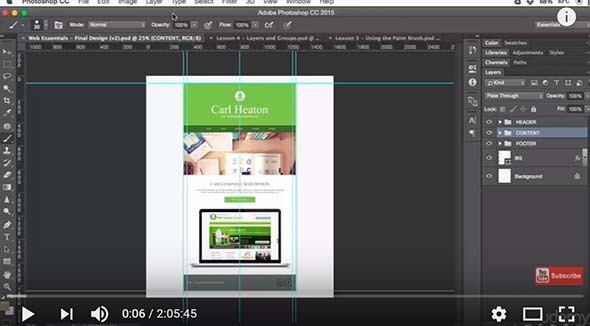 This easy tutorial will teach you the how to create a basic web using Photoshop. 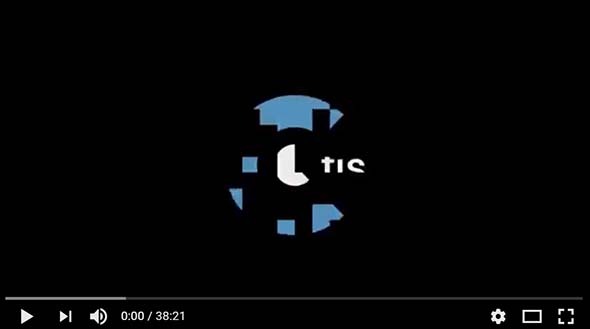 You’ll find all the resources you need, below the video. 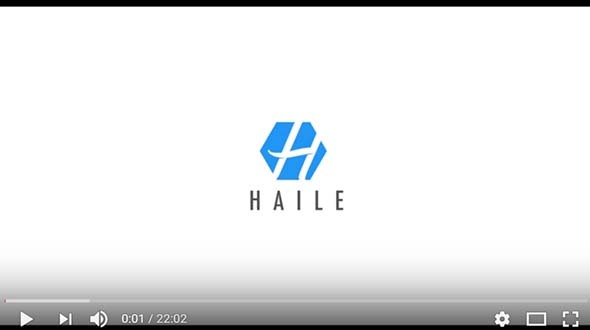 And if you’re looking for an advanced tutorial that will teach you how to create a professional looking website you might want to stop what you’re doing and have a look at this example. 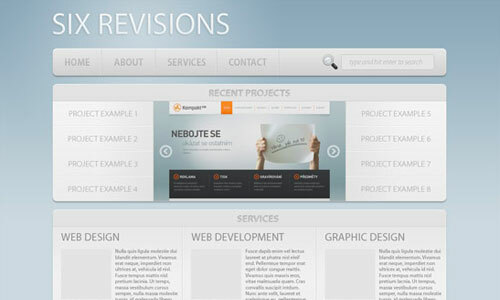 For this tutorial, you only need some basic knowledge on Photoshop and web design. 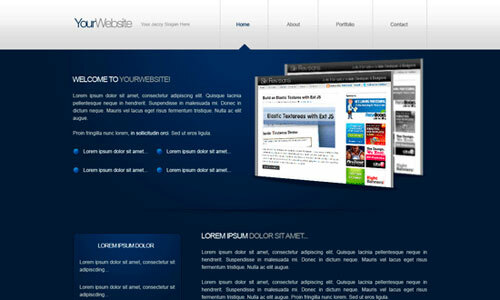 It will teach you how to make a simple web page template from scratch using Photoshop. 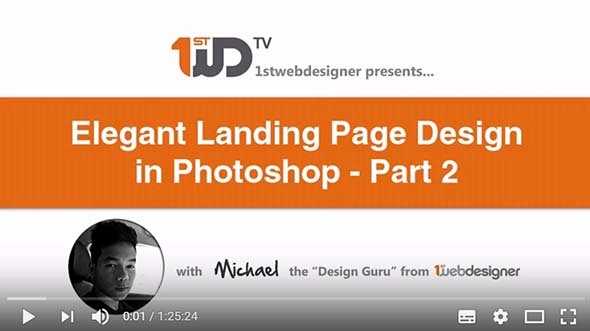 This is yet another useful tutorial that will show you each step of the process required to create a single page web design in Photoshop. 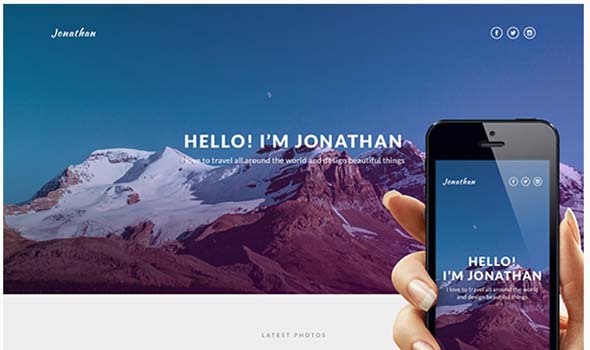 If your project is more specific, like a site for a traveling agency, you could have a look at this example that teaches you how to design a booking travel site. 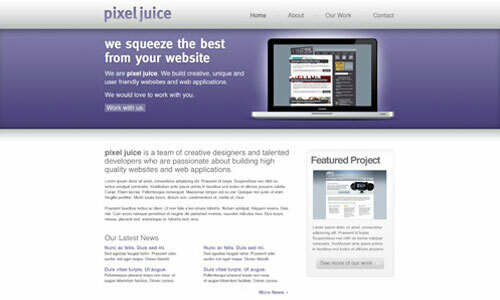 Learn to design a cool website with help from this video tutorial. This template mixes bold colors, huge handwriting typography, and powerful images. 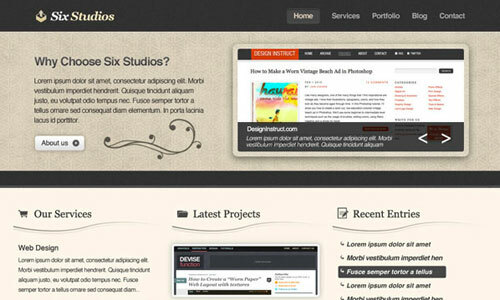 Six Studios will walk us through every step of making a clean and classy web design in Photoshop. You can also see a working demo which can be downloaded at the bottom of the page. 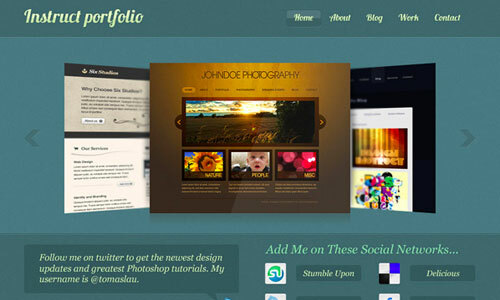 This tutorial is exactly what you need to create a modern portfolio layout with Photoshop. You can also check some of their other tutorials, they’ve got plenty of them. This is yet another easy step by step tutorial that will come in really handy. It also comes with a PSD available for download. 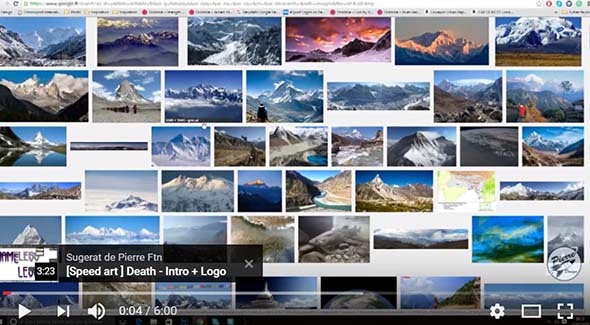 Check out this cool video tutorial and see how many cool things you can learn. It uses dark gray colors and a texture film grain to give it an elegant touch. If you’re in the mood for a monochrome clean design layout then you should read this Photoshop tutorial. This one also comes with a PSD available for download. 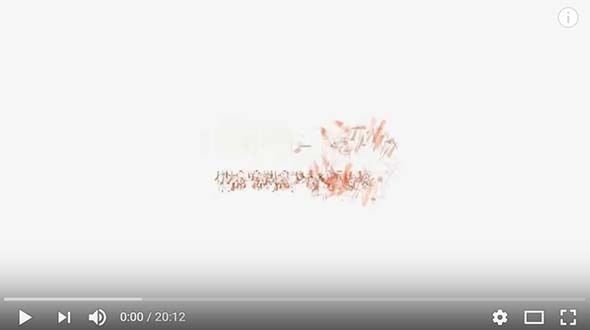 With this tutorial, it has become even easier to stream music on your website. 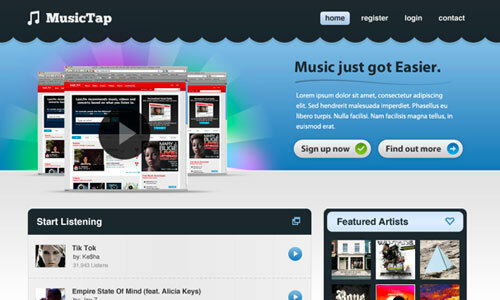 Check out this PS tutorial to find out how to can make a beautiful music streaming design in Photoshop. Improve your project with this Photoshop tutorial about how to design a sleek textured blue portfolio and find out some of new tips and tricks. Transfer your wife frame to Photoshop so you can focus on the small details such as buttons and text headings and find the right position and size for them with help from this tutorial. 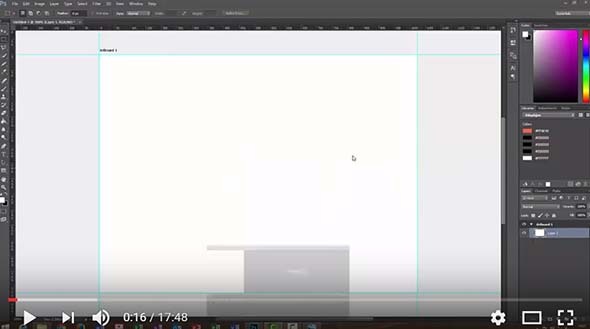 This detailed Photoshop tutorial will teach you some really nice tricks. It will show you what you need to do to set up before even starting designing in Photoshop, you’ll have a look at paintbrushes, shapes and many other things. 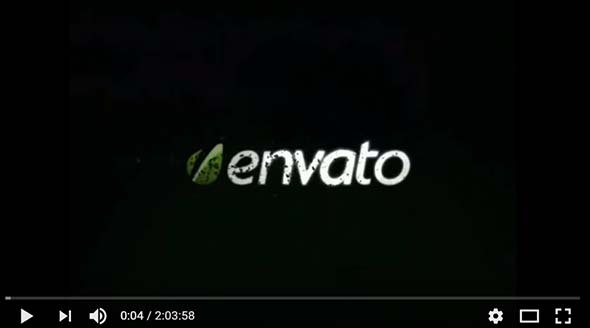 With the use of Photoshop and 960 grid, this tutorial will teach you how to make a light and sleek web layout. 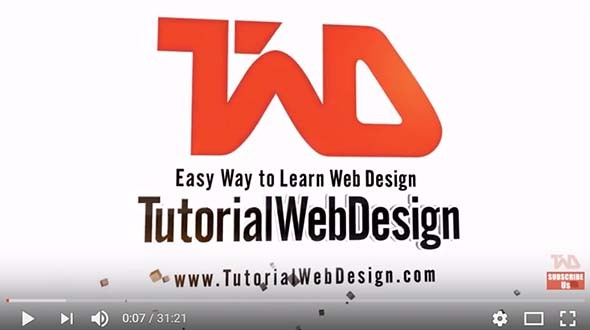 This is an excellent video tutorial about web development and design process for you, especially if you’re at the beginning of your career. 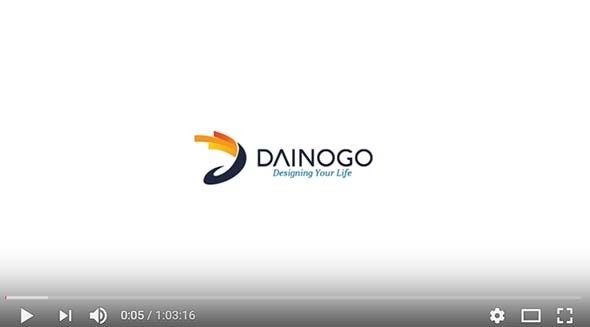 If you’re in the mood for a change in your website, check out this tutorial which will teach you how to make a sleek and professional web layout with 3D elements. This is a really helpful tutorial which will teach you how to make a modern, crisp and clean web page layout ready for coding. This is another helpful Photoshop tutorial from Six Studios which will teach how to make a stylish and elegant portfolio design. Feel free to check it out. Give your portfolio an elegant touch with this Photoshop tutorial and learn some of the tips and tricks that come along with it. Last but not least, this tutorial is yet another example of a detailed Photoshop tutorial that will walk you through every step of making your Photoshop template into a working HTML. Great list of tutorials. Any chance we’ll see an updated list for the modern web? What good series of tutorials Thank you very much, I will implement some for me. Great collection of tutorials, very useful… thanks for posting. Thanks for sharing, I have learn many things from this. Great collection chris! 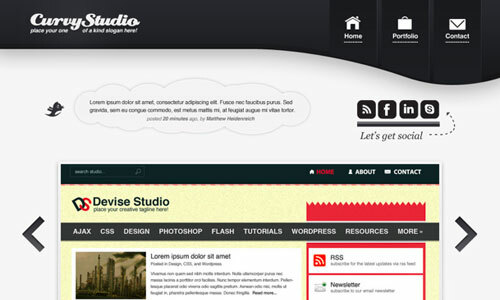 your tutorials are very much useful for my website design part. Love the outcomes! These are great tuts. Thanks for sharing! thanks for sharing. this will keep me busy in upcoming holidays. great collection, line25 you don&apos;t disappoint! 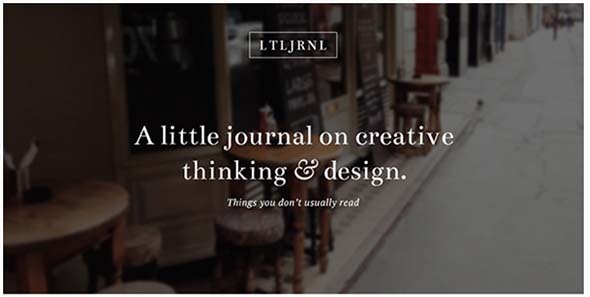 Wow, what a great collection, pretty much covers all of the design styles you&apos;d need. Thanks! wow nice design.. thanks for the post.. Thanks for the homework assignment! I figure at one every few days I&apos;ll be through these in a couple of months. Great stuff, thanks for sharing your work, really helps out the community. Great Chris! 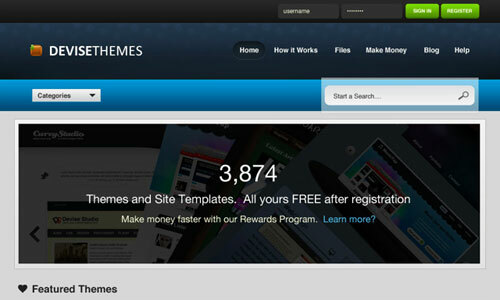 I really appreciate you adding my tutorial (calaka, for designinstruct) to the collection. Simply amazing! love the grunge one!